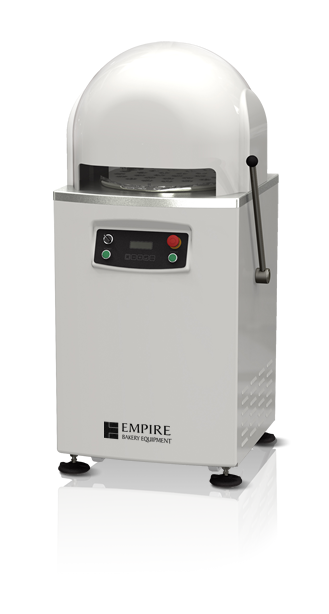 Divid pizza dough, tortillas, buns, or rolls with the SPA Dough Divider/Rounder. Whether you run a bakery, pizzeria, cafe or restaurant, the labor-saving SPA is the right choice. Available in three models, semi-automatic, three-quarter automatic and fully automatic. 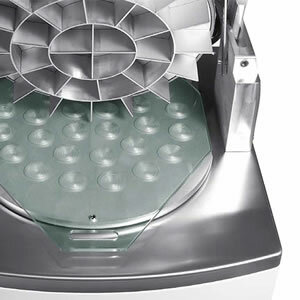 With the easy-tilt aluminum cast head and 304 stainless steel knives and food-safe polyethylene press, maintaining and cleaning the SPA is a snap. 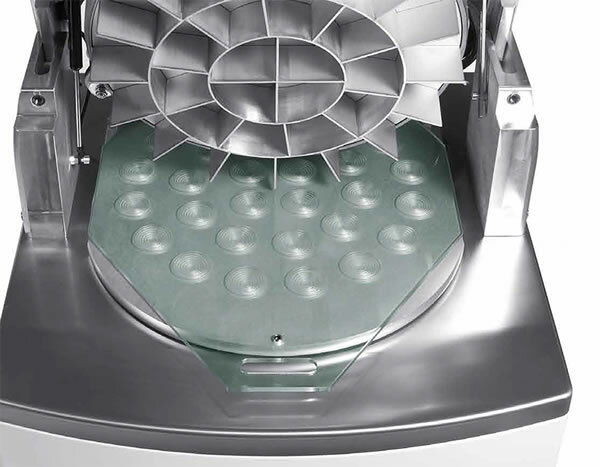 The SPA Dough Divider/Rounder is sure to bring you worry-free production year over year. All models conform to CE standards. Divides and Rounds Dough from 1/2 oz - 9 1/8 oz. Easy-Tilt Aluminum Cast Head for Simple Cleaning. Ships with 3 Food-Safe Polyethylene Plates. Configurations from 15 to 52 Divisions Available. Maximum Dough Capacity of 8 3/4 lbs per Divide.